Zenith Bank Plc yesterday announced the appointment of Mr. Ebenezer Onyeagwu as the Group Managing Director/CEO of the bank as it enters its next phase of growth. Onyeagwu replaces Mr. Peter Amangbo, whose tenure expires on May 31, 2019. 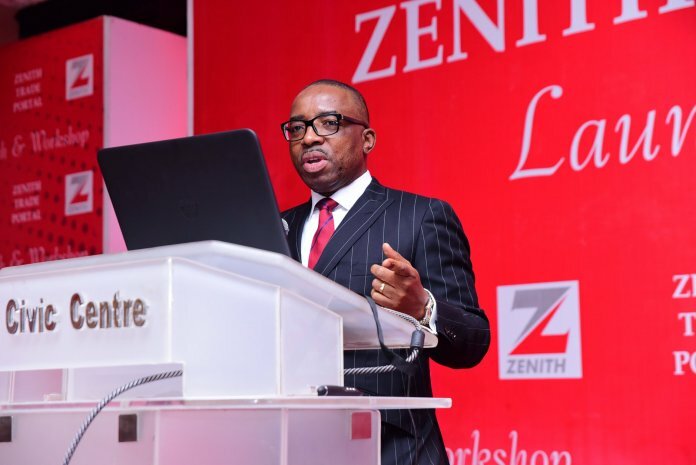 Zenith Bank’s total deposits was N2.82 trillion as of the year ended December 31, 2018, representing a 2.9 per cent increase over the previous year’s figure of N2.74 trillion. Its profit before tax in same period rose by 13.6 per cent, from N169 billion in 2017, to N192 billion in 2018. Also, profit after tax rose by 7.8 per cent, from N153 billion in 2017 to N165 billion in 2018. During same period, its total assets grew by 2.7 per cent, from N4.83 trillion to N4.96 trillion; while shareholders’ fund declined by 3.3 per cent, from N698 billion to N675 billion. Gross earnings similarly declined by 20.2 per cent, from N674 billion in 2017, to N538 billion.